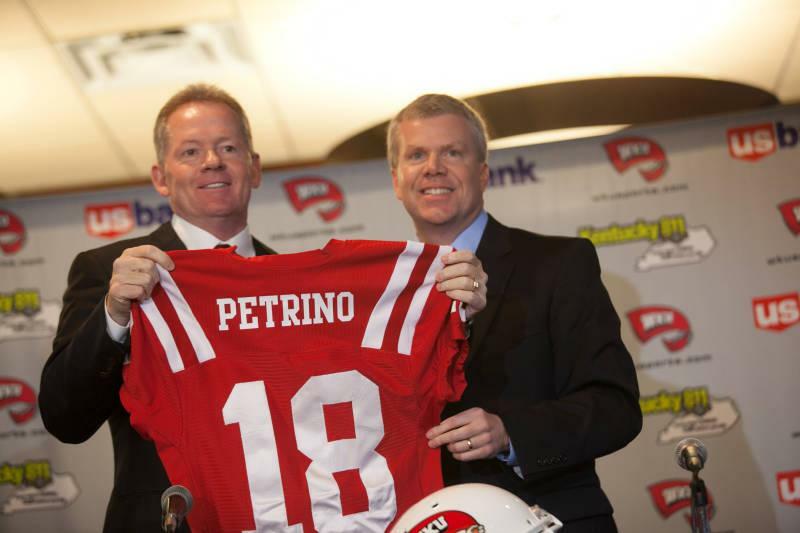 WKU opens its first fall camp under Coach Bobby Petrino on Monday, and fans of the Red and White are invited out to see the new look Hilltoppers begin their 2013 campaign. Over the first two weeks of camp, Aug. 5 to Aug. 16, select fall camp dates will be open to the media and public. Practices will be split for the first four days of camp, as newcomers and veterans work through different programs before coming back together for their first full team camp on Friday, Aug. 9. When the practices are split (August 5-8), newcomers will hit the field at 2 p.m. while returners will begin at 5 p.m. After coming together on Aug. 9, practices will run 9-11:30 a.m. on Monday, Wednesday and Friday and 4-6 p.m. for the second practice of two-a-days on Tuesday and Thursday. The first practice of those days is closed. Over the course of the two week open period, practice will also be closed Saturday, Aug. 10 and Monday, Aug. 12. All practices will take place inside Houchens-Industries-L.T. Smith Stadium but are subject to change. Fans are asked to enter the stadium from the Avenue of Champions in the east corner and remain on the east side of the stadium. WKU respectfully requests that fans refrain from using their cell phones, including videotaping any portion of practice, taking pictures, texting, or posting to social media. WKU opens the 2013 season on Saturday, Aug. 31 when the Hilltoppers face Kentucky at LP Field in Nashville at 6:00 p.m. CT with tickets currently available for purchase. Tickets are priced at $67 for club level, $47 for lower level sideline, $32 for upper sideline and $22 for upper corner seats for the Kentucky game. Parking passes for this game may be ordered through Ticketmaster.com or through the WKU Ticket Office. The first 4,000 WKU students at the game on Aug. 31 with a valid ID will receive a free ticket to the game. After 4,000, student tickets will be $13.